What is it? Platelet-rich plasma (PRP) therapy is a revolutionary procedure that uses components of the body’s own blood cells to stimulate the natural healing process in certain orthopedic conditions. The body’s first response to any soft tissue injury (ligaments and tendons) is to deliver platelet cells. Filled with healing and growth factors, the platelets jump-start the repair process. The platelets are separated from the rest of the blood cells and put through a process called centrifugation, which increases the platelets’ concentration. These platelets are then injected into the area needed with different concentrations of other cells to enhance the bodies healing process and decrease pain. This quick procedure can also provide effective pain relief, eliminating the need for surgery and prolonged recovery. If you are a candidate for regenerative medicine or PRP therapy, call Midwest Orthopaedics in Shawnee Mission or Overland Park, Kansas at (913) 362-8317 or request an appointment online. Amniotic tissue has been used for many years to treat a variety of medical issues and has had excellent results. 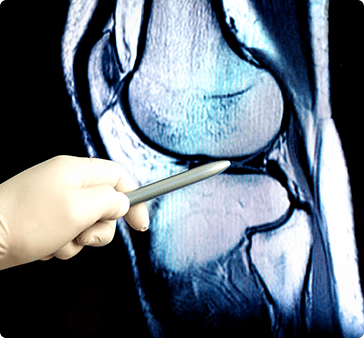 More recently there has been application to orthopedic issues such as arthritis and tendon/ligament healing. The amniotic membrane is a layer of the amniotic sac, which is donated after birth and does not contain fetal tissue. It is dehydrated and stored and then rehydrated at the time of injection. The process is very simple and similar to a cortisone injection. The injection can decrease inflammation and promote healing through multiple growth factors. It is safe and very effective. If you are a candidate for regenerative medicine therapy, call Midwest Orthopaedics in Shawnee Mission or Overland Park, Kansas at (913) 362-8317 or request an appointment online.